"This is not your commonplace angel book." As eyewitnesses to His glorious nature, angels draw the men and women they encounter closer to God by sharing His holiness, love, justice, and sovereignty. O'Neal offers fresh and unique insights into the stories of these mysterious beings by combining a deep knowledge of Scripture with personal experiences from his 31-year career at NASA. Questions at the end of each chapter allow for personal reflection or easy discussion in a Bible class or group setting. "Mike O'Neal brings together the analytical gifts of a NASA engineer, the heart of a servant of Christ, and the rich experiences of someone who has integrated his faith with life experiences into a study that enriches your relationship with God." - Evertt W. Huffard, VP/Dean, Harding University Graduate School of Religion"The Biblical material on angels is like a patchwork quilt. We get one piece here, another there, and on it goes. We end up with material of different shapes and colors. How does it all fit together? Popular culture often reduces the teaching on angels to a cute creature with wings that sits on our shoulder. 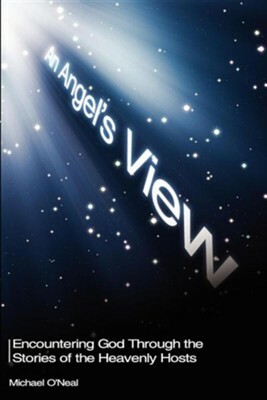 An Angel's View raises the teaching on angels to a new level of divine beings that serve God and point us to Him. O'Neal makes it all fit together." - Dr. James E. Moore, President, Christian Home & Bible School"This is a delightful little book. Michael O'Neal has not only given us a very enjoyable and readable survey of the biblical stories about angels, but he has reminded us of the many ways that these incredible creatures point us back to the attributes of God." - Jerry Rushford, Director of Church Relations, Pepperdine University"Mike provides a unique, encouraging, and often challenging glimpse behind the scenes of this physical world into the heavenly realms where we witness the glory of God through the ministry of angels. I was blessed to revisit some of the greatest moments in history from an entirely new perspective." - Scott Laird, Pulpit Minister, Great Falls, MTMike O'Neal worked for NASA at the Kennedy Space Center for over 31 years, where he was awarded the agency's Outstanding Leadership Medal and two Exceptional Service Medals. His assignments there included Deputy Director of the Space Station Hardware Intergration Office, Deputy Director for the Space Shuttle Engineering Directorate, and Leader of the Exploration Think Tank. Mike recently completed a special assignment with the Florida Space Research Institute, where he investigated ways to provide spiritual support for astronauts on long-duration missions. He has a B.S in Electrical Engineering from the University of Central Florida, a M.S. in Engineering Management from the Florida Institute of Technology, and a M.A. in Christian Ministry from the Harding Graduate School of Religion. In addition to preaching part-time at the East Orange Church of Christ in Orlando, FL, Mike frequently speaks on topics such as angels, spirituality, and spaceflight. He and his wife Carol have two children. I'm the author/artist and I want to review An Angel's View.